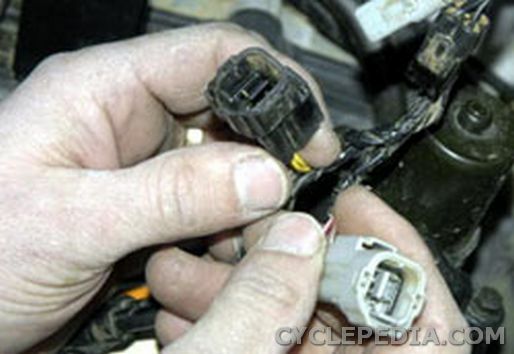 How do I Reset my Kawasaki & Suzuki ATV Drive Belt Check Light? 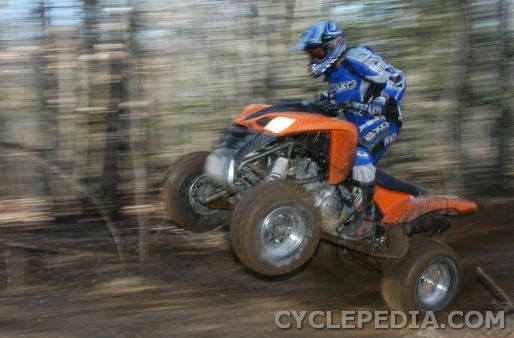 Learn how to reset your ATV belt check light yourself. The Kawasaki Prairie 360, Kawasaki Prairie 650, Kawasaki Prairie 700, Kawasaki KFX700 V-Force, Kawasaki Brute Force 650, and Kawasaki Brute Force 750 ATVs are fitted with drive belt alert systems. These systems, while designed with safety in mind, have become a nuisance to affected ATV owners who do not understand how they function. The belt drive warning system gets tripped when a fault is detected – the system locks down and will make your ATV sputter in “Slow Mode” and on some models disables four-wheel drive altogether. Letting your battery get too low or drawing too much power from accessories could trip the system. When the system trips your ATV will feel like it needs a carb cleaning as it will studder and stumble. The belt warning system on your ATV must be PROPERLY reset and should not be disabled or tampered with. This manual will show you how to properly reset it. Don’t get stranded out in the middle of nowhere without the information you need to reset your belt light and get back on the trail. The Cyclepedia.com Kawasaki ATV Belt Reset Guide features full-color photographs and step-by-step procedures performed and written by a veteran factory trained technician. Don’t get stranded on the trail! Get the information you need to get home safe, save time and save money. May apply to other makes and models. I love the subscription for my ATV Belt Repair, the instructions are very easy to follow and the illustrations accurate. Thanks Cyclepedia! – Wilson R.
Thanks for the information on how to reset the belt indicator on my Kawasaki Prairie. Your online manual was easy to follow and took less than 30 minutes to complete. The drive to my local Kawasaki dealer is an hour and a half each way. Gas and time were a big savings and this information is something every quad owner should know. Thanks. – Terry C.
I have a 2007 kawasaki prairie 360 4×4. as everyone knows, they are a belt driven atv. The belt drive is great but it has a check belt light that comes on about every 100 hours of use. i needed to know how to reset the light on mine, rather than taking it to the dealer and paying them to do it. i got step by step instructions and pictures of it from Cyclepedia.com. it was a very simple procedure. – Jerry A. We have already used your informative service to reset the check belt light on our new quad. As long as we are to expect it to need resetting about every 100 hours we are very glad to know how to do it ourselves. Thank you. Great product and service! I have a Kawasaki 650 Prairie that has tripped the belt indicator switch for a second time. I replaced the belt the first time and reset the switch but could not erase the darn fault code. I ended up paying the dealer just to reset the fault code. NOT CHEAP! The second time around I decided to buy a factory manual so I could reset the code myself after replacing the belt. They wanted $76.00 bucks and ten days for the manual. My wife wants to ride NOW. Luckily I found your site and your great manuals. For a small amount of money and a few minutes time we were up and running and tearing up the trails. Thanks for the great product. Ride SAFELY and RESPONSIBLY!